Since 1978 Inland Coatings has been producing cost effective, innovative coatings and applications that provide our clients with long-lasting solutions. Whether you are a building owner, equipment manufacturer or a contractor, Inland Coatings guarantees exceptional service and unmatched product results. INLAND’S unique line of synthetic rubber coatings provide durable, cost effective solutions for many of today’s roofing problems. They are one-component, fluid applied products that are easy to apply, resulting in a seamless monolithic membrane. They resist salts, acids, alkali and feature high tensile strength, excellent elongation, and superb water resistance. Inland’s Rubber Coatings dry to a firm, flexible film. They are thermally stable, eliminating problems caused by weather extremes. The exceptional adhesion that these products provide, ensures trouble free results on a broad variety of surfaces, including single ply membranes, builtups and modified bitumen, concrete and metal. Inland’s products can be applied at temperatures lower than those typically required by competitive products, thus extending the application season. Additionally, they develop early water resistance, eliminating potential wash-off problems. Review INLAND COATINGS PRODUCT DESCRIPTIONS<<HERE. 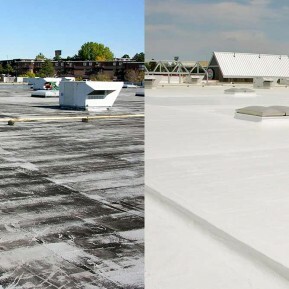 Inland RC 2000 is a unique, solvent-based rubber roof coating that provides extremely effective protection. Inland RC 2013M is a rubber base-coat that provides excellent waterproofing and corrosion resistance to metal roof surfaces. 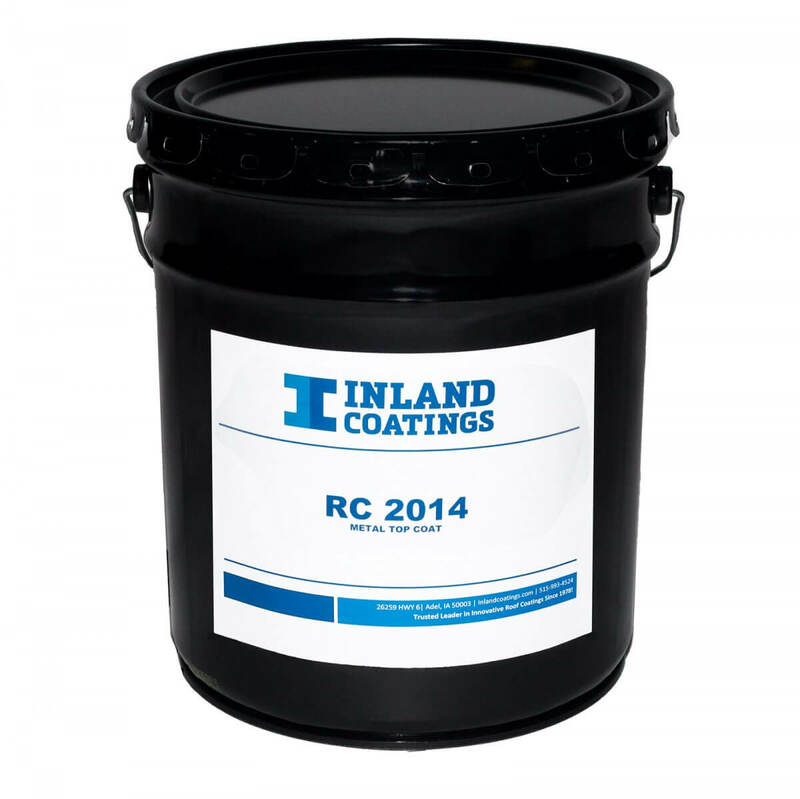 Inland RC-2014T Metal Top Coat is a rubber top coat that provides excellent waterproofing and ultraviolet resistance. It is a one-component product that has excellent adhesion to properly prepared surfaces.